Ukrainian has 22 consonants. Most have a single sound/pronunciation, but there are some that are “softened” when they precede certain vowels or the м’який знак “ь” (the softening sign). 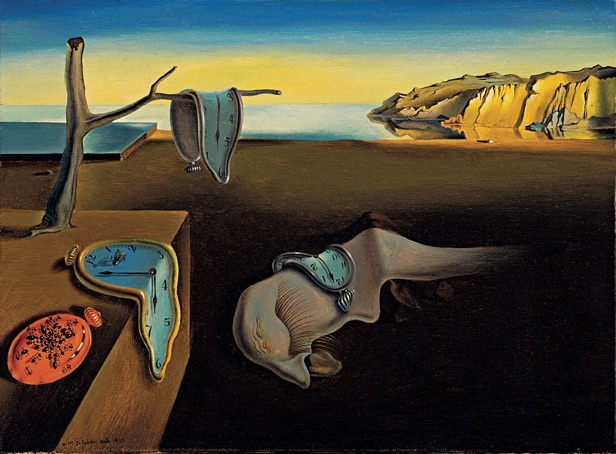 Like the normally hard watches in the Dali painting, these consonants become soft under certain circumstances. The pronunciation of these softened consonants does not come easily to many English-speakers. The best explanation that I can give is that it is like pronunciation of the Castilian “LL,” which is a sort of a blended “L” and “Y”. Which consonants are amenable to this? There are seven: Д, З, Л, Н, С, Т, and Ц. 1.When they precede the “ь.” For example, in «ідуть» (they are going), the final t makes a sound like a “t” and “y” blended together. When are they not softened? Sometimes, though, words where the consonant should be softened aren’t pronounced that way. How can you tell? Because an apostrophe will be placed, separating the consonant and vowel. It is the Ukrainian version of a hardening sign. For example, in the Ukrainian word for a convention, “з’їзд,” the apostrophe prevents the “z” from softening, separating the two sounds completely. Back to MAIN Traditional Pysanky page. Back to MAIN Ukrainian Language page.